Dyan Cannon is the first woman in the history of the Motion Picture Academy to be nominated for Oscars both in front of and behind the camera. Her diligence and determination have been rewarded by many prestigious honors. 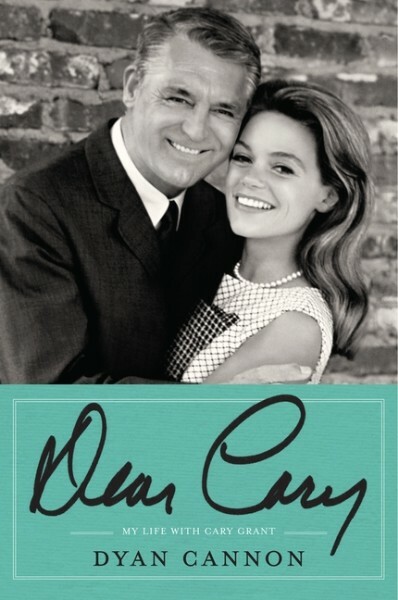 Her new memoir, Dear Cary: My Life with Cary Grant (It Books/Harper), tells the story about her marriage to film legend Cary Grant. A sought after speaker, she is recognized as an exceptional motivational speaker for prominent associations and corporations. Children are her passion and most of her work centers around the care and welfare of kids. She is the National Spokesperson for the Hemangioma Treatment Foundation, an organization that provides treatment to children all over the world who are afflicted with vascular birthmarks. She is the International Executive Spokesperson for Operation Lookout, an organization dedicated to recovering missing and exploited children who have been kidnapped from their homes and schools. She has also been National Spokesperson for Martin Colette's Wildlife Waystation, an international refuge that rescues and rehabilitates wild and exotic animals. In addition, she devotes time and energy to several other charitable organizations such as California's Special Olympics, for physically and mentally challenged athletes, and MacLaren Hall, an emergency shelter for neglected and abused children. In her signature talk, "None of It's Been Wasted Time: Moments with Dyan," Cannon shares her fascinating journey of how Hollywood, spirituality, and life's exhilirating moments (the good and the bad) have kept the stars in her eyes. Through her story, she inspires and uplifts audiences to unlock the same passion and healing message found in their own life's journey. Cannon received her first Academy Award nomination for her memorable role as Alice in Bob & Carol & Ted & Alice, opposite Natalie Wood and directed by Paul Mazursky. For her performance, she garnered the coveted New York Film Critics Award. She received her second Academy Award nomination in the category of Best Live Action Short for writing and directing the 48-minute film, Number One, which she also produced, edited, and scored. Sponsored by the American Film Institute, the film depicts children's natural curiosity about their bodies and some of the adult values that stifle them. The New York Times commended the film as one of the best movies ever made concerning children's development. She received her third Academy Award nomination for her comedic role as Julia Farnsworth, opposite Warren Beatty, in Heaven Can Wait, for which she won the Golden Globe Award from the Hollywood Foreign Press Association. Later that year, she starred in another comedy hit, Return of the Pink Panther, opposite Peter Sellers and directed by Blake Edwards, and was named Female Star of the Year by NATO (National Association of Theater Owners). As the singular force behind the motion picture The End of Innocence, Cannon undertook a triumvirate of tasks as writer, director, and star. This poignant story illustrates the drama and comedy of one woman's fight for self-discovery. Her work received amazing reviews from the Los Angeles Times and the New York Times. Cannon has been on two outstanding primetime television shows. For several years, she brought her own brand of humor, class, and sexiness to the role of Whipper Cone on the Emmy Award winning series Ally McBeal. She then starred as the vivacious and free-spirited Honey Bernstein-Flynn on NBC's comedy series Three Sisters. Honey was a yoga and meditation enthusiast, as well as a die-hard Laker fan, whose open relationship with her three grown daughters was unconventional and often outrageous. Cannon's filmography is vast and includes TNT's remake of the Warner Bros.' classic Christmas in Connecticut, directed by Arnold Schwarzenegger; Author! Author! opposite Al Pacino; The Last of Sheila, directed by Herbert Ross; two films directed by Sydney Lumet; Deathtrap, co-starring Sir Michael Caine and Christopher Reeves, and The Anderson Tapes, starring Sean Connery; and Honeysuckle Rose, in which she played Willie Nelson's wife and made her debut as a country music singer; Such Good Friends, directed by Otto Preminger... and numerous other films. She then decided to take a break from her acting career and pursue her other passion... music. Cannon has starred on Broadway and in her own musical stage act at Caesar's Palace in Las Vegas and Harrah's in Lake Tahoe. She co-wrote the title song for Chaka Khan's album, The Woman I Am, with Brenda Russell, and is presently collaborating on a Broadway musical. However, when she realized how much she missed acting she returned to the career she loves best, and hasn't stopped since. Cannon then starred in Orion Picture's over-the-top comedy, Eight Heads in a Duffel Bag, and co-starred in the Twentieth Century Fox comedy adventure Out to Sea with screen legends Walter Matthau and Jack Lemmon. Following that, she starred in the made for television Lifetime Original movie, My Mother The Spy; Disney Pictures: Swiss Family Robinson, which was re-titled, Beverly Hills Family Robinson, for ABC; and That Darn Cat, the feature film. Most recently, she completed a starring role in Susan Seidelman's Boynton Beach Bereavement Club along with Sally Kellerman, Brenda Vaccaro, and Joe Bologna. Cannon is a permanent fixture at the Los Angeles Lakers basketball games. She lives in Los Angeles with her beloved Chihuahuas, JC and Matilda.